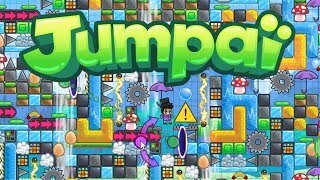 Jumpaï is a platformer where you get to create levels and share them online to play with others. By igniting community rather than a telling story, we aim to be a vessel of expression coming from both level creation and player customization. 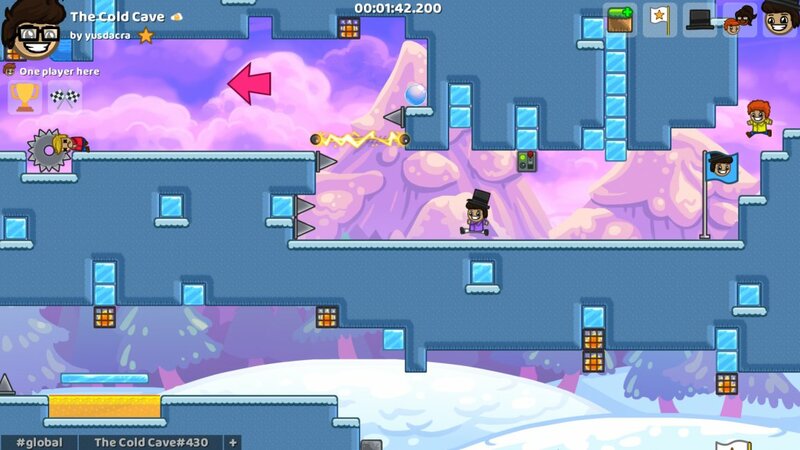 Level creation is made extra easy, so that anyone can create the level they imagined. As the community grows, players are free to play from a constantly growing source of tricky puzzles, hard platforming challenges, funny trolls or relaxing adventures. With over 30 items that interact with each other in different ways, you will never run out of ideas when it comes to level creation. An example is the iconic frisbee can be picked up and thrown by the player to be jumped on or used to trigger switches that can turn off conveyors and electric barriers. Another example would be the fan which can be used both to help the player get higher with their umbrella or as a deadly trap to push away from the stage any player wearing a bubble. Transform your idea into a playable level from a level editor packed with content creation tools. The editor can be used to create your own levels or open up any other level. Compete in real-time with your friends to see who can finish the level first! You can invite your friends to race against you. In this game mode, you will all start the level at the same time! Browse the top rated levels easily from anywhere in the game! The best levels naturally come up to the top as players leave stars to the levels they like. The game distinguishes between finished and unfinished creations, preventing the annoyance of playing an unfinished level without knowing it! Select your biome as you create your level, using a brush to paint biomes however you want and make cool transitions. Biomes not only change the background, but also the decorations used in the level, giving access to a wider range of items allowing for unique styles. All controls are bindable, including ones for the editor! Try to increase your score by getting top positions on leaderboards of popular levels! Give a unique look to your character to create your own in-game identity! Watch the world record replays to see how they finish so fast! Any replays can be watched from the leaderboard and you can even export them to make a video if you want to show your skills!